In the midst of Kardashian drama, nonsense and mental breakdowns, Kanye West is still one of the greatest artists of our time. Whether he writes all of his lyrics or gets assistance like other great producers, Kanye still has quite a focus to make great albums. He's admittedly fallen off a bit since his great run of albums, but his legacy is still solidified. 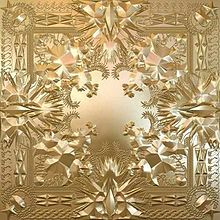 With that being said, with about 9 albums under his belt (including Watch The Throne and Cruel Summer), where do they rank? 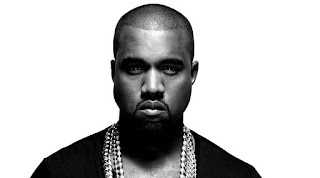 Today, we look at Kanye West's albums and rank them from worst to best. 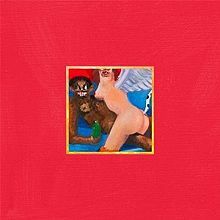 If you're a huge Kanye fan or stan more so, you might believe everything that man has released is a classic or amazing. As an objective music fan, that's entirely incorrect, but he has some great projects to speak of. What's no. 1? I'm sure that will be debated by readers (and Kanye stans), but once again, these lists are only opinions, so if you disagree, that's fine. Let's get into it. -There was no doubt at all what his worst album was. Yes, I know there are some fans who feel Kanye has done no wrong and that this album was misunderstood, but no.... it was just a bad attempt at being different. 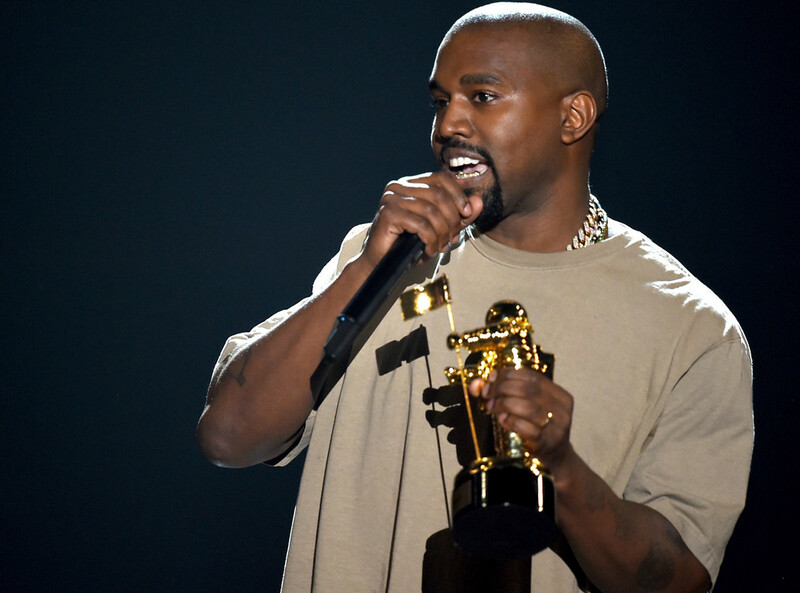 Kanye went a new direction and while some might excuse it as creativity, it's just not good. It doesn't sound good. It doesn't sound focused. It's the issue we ran into with Kanye post 2011 in all of his music. His heart doesn't seem to be in the music and this album just doesn't work. There are some small highlights like the soulful yet out of place "Bound 2", and the very interesting "Blood On The Leaves" and "New Slaves", but even those songs aren't exactly the best. 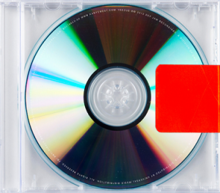 They're passable and alright to listen to, but what Yeezus lacks that Kanye albums used to have is replay value. Yeezus was an album I played once, tried to go back to and couldn't really enjoy it. Thus it is ranked this low as his worst. It's not even debatable IMO. 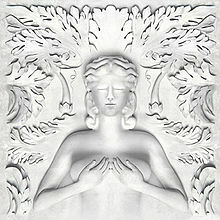 -This is more so a group album for G.O.O.D Music than a Kanye album, but Kanye is all over this project. Is it a bad album? Not necessarily, but it misses the mark in terms of cohesion and overall creativity. 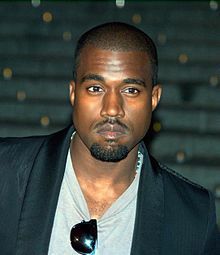 The songs like "Clique" and "Mercy" were huge hits on radio and such, but musically they feel like regression for Kanye. I think that's why most of his albums in recent time just pale in comparison because it doesn't sound like progression, it sounds like regression. After Graduation, he seemed to struggle with trying to progress as an artist, with only a flash or two of brilliance here and there. This was another example of that. -Let me just say one thing: If you're a fan of this album, great. I can see how with the new wave of music becoming a bit more emotional and autotune vocal driven that this would be an album that people enjoy. However, it was a misguided attempt and poorly executed. The production was moody and a bit dark, which worked well at least for what he was trying to accomplish. I wonder though if Kanye's biggest fans give him more credit for his ideas and what he WANTED to accomplish rather than what he actually did with the music, because the thought process of this album was cool, but the execution was just wrong. One, Kanye can't sing and no amount of autotune vocals can hide that fact. Secondly, I understand the dark place he was in after his mom died and I believe his fiancee at the time left him, so I totally get that perhaps his heart wasn't really into making music like it had been in the previous albums. It showed some here, but I'd be lying if I didn't give credit to tracks like "Heartless" and "Say You Will", which are my two favorites. This isn't a bad album to me, but rather a misguided one in execution. -I didn't dislike this album when I first listened to it and I still don't. The issue? It has no replay value. Some might see this and go, TLOP over 808s?? Yes. 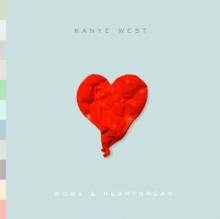 Now, if you're a big fan of 808s, then you don't agree. If you're a fan of TLOP, you might agree. Regardless, the fact remains that TLOP started off well and declined, suffering from too many songs. 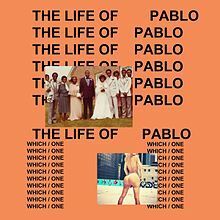 Production is good here, as I loved the sounds of "30 Hours", "Real Friends", "No More Parties In LA", "Father Stretch More Hands", and "Ultralight Beam", but aside from that, the album falls flat mostly. While revisiting the album, it just seemed lifeless to me, and that's rare for a Kanye project. It's essentially as middle of the road as you can get from a lyrical standpoint and song standpoint, but production was top notch at least. The saving grace of the album. -I didn't like this album at first when it came out. I felt it was just missing the mark of what I expected, but when I look back, it was a pretty solid album. I think it was just that I wanted something different and perhaps better that I didn't appreciate what was being delivered. The songs like "No Church In the Wild", "Otis", "Niggas In Paris", "New Day", "Who Gon Stop Me", and "Murder To Excellence" were all very solid, but the album waits until the end of the deluxe edition to reach the apex as "Primetime" and "The Joy" are the best songs they've done IMO. The issue is, if you didn't get the deluxe edition, you were out of luck. While not a classic like some Jay and Kanye fans want you to believe, it is a solid album that got better with time and more listens. -I really didn't want to like this album at first. I'll be honest. 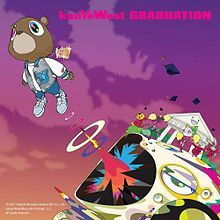 Kanye wanted to make stadium music and I just wanted him to outdo Late Registration and make something even better, but what we got was an album that really took him to the next level. Perhaps not creatively, but commercially it definitely did. He crossed over with "Stronger", enticed the hip hop crowd with "Can't Tell Me Nothing", bridged the gap with the quirky hit "Good Life" featuring T-Pain, and ended up having some of his best production on this album. 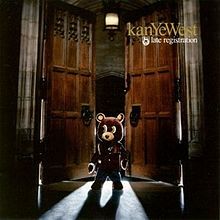 Songs like "I Wonder" and "Flashing Lights" were infectious and had superb production, and while I wouldn't necessarily call this album a classic, it is easily one of his better albums and it has certainly grown on me (that's a trend with a lot of Kanye albums for me) more and more over the years. Not to mention, this album defeated 50 Cent in a sales battle, and at the time in 2007, this was a huge deal. -A few years ago, this would have been no. 1 or no. 2 easily, no question. The only issue is that there are two songs that I find to be pretty bad/out of place on this album. The Ludacris assisted "Breathe In, Breathe Out", and the boring "School Spirit" take the album down just a bit (as does the overrated yet iconic "The New Workout Plan") and it's more noticeable as time goes by. However, with the classics like "Spaceship", "All Falls Down", "Two Words", "Last Call", and "Never Let Me Down" all here to play, no one could front on College Dropout. It's the beginning of the Kanye story and it is a superb album minus a few songs. The only reason why it isn't no. 2 here is because of those few songs that miss the mark. 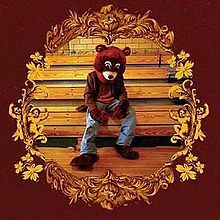 Regardless, 13 years later almost, it is refreshing to hear a more hungry Kanye and those soulful chipmunk type beats. The good ol' days, so to speak. -Now, for those fans of Kanye who believe this is his best easily or his greatest album ever, or even one of the greatest albums ever in history, I think it's time to stop. Now, don't get me wrong, this album is very very good, and I'm okay with it being considered a classic, as it has grown on me over the years, but I wasn't the biggest fan of it when it first dropped (G.O.O.D. Friday was amazing however). The only issue with this album to me, is actually the reason why so many people tend to slightly overrate it. Kanye is trying to combine all of his 'eras' into one album, and while it does work very well, there's still something slightly missing from this album that keeps it from being his best. Production is amaziing, verses are solid, and the guest verses are mostly solid too (although people severely overrate Nicki Minaj's verse on "Monster"). Overall, creatively this is a very very good album, and probably his most daring album and more times than not, it works. Even the missteps don't hurt too much, and when you have tracks like "So Appalled", "Blame Game", "Gorgeous", and "Devil In A New Dress", you can't really go wrong. If I was to rank this album on a scale of 1-10, it would be a 9 or 9.5. It was really tough choosing between this album and College Dropout for the 2nd spot, but the creative process for this one elevated it over College Dropout just a bit. Plus, then shorter tracklist helped it over College Dropout. -If someone tries to tell you this is not the best Kanye album, they're misguided. This album from top to bottom is basically perfection in musical form. Production wise? This is miles ahead of any other Kanye album and once again, I don't even see how it could be debatable on a technical level (opinions can vary, but the sounds here are beyond anything we've heard). Utilizing Jon Brion to help with arrangements and production, Kanye had his sound be much more grand and resounding, almost hitting that stadium sound he wanted on his next album without trying for it. The melodic keys and boom bap of "Heard Em Say" is beautiful to start the album off. The sample and the arrangements in "Diamonds From Sierra Leone" are really rich, and the slow paced syrupy groove of "Drive Slow" remains to be one of my favorites from Kanye. Who could forget the resounding keys and horns of the Nas assisted "We Major", as the MCs spit some real lyrics over the triumphant production. Even tracks like "Roses", "Bring Me Down", "Crack Music", the Common solo "My Way Home", "Addiction", "Celebration", and the Consequence & Cam'ron assisted "Gone" fit perfect and sound amazing, but the best moment comes at the end of the album when Kanye creates something glorious in "Late". The tracklist could have been exhaustive with so many songs, sort of like College Dropout is in a small way, but this album doesn't get tiring at all. Even the skits seem to flow smoothly here, making this without a doubt Kanye's best album. Late Registration is the one.